Why would any web hacker attack my small website? You are an entrepreneur, manager or a marketing pro responsible for the website in a company which is simply meant as a digital business card to introduce the company, its services, and the latest news. You probably have seen or heard about some web hacker defacing or attacking websites almost like randomly? Not including any of state secrets, right.. but why the hell are they still doing this? Making money (a lot of money). Yes, even a small website can generate a substantial amount of money. Cybercriminals and web hackers can make money with your compromised website by distributing malware, SEO spam and even set up e-mail spam servers and phishing sites. Money is obviously the most common motivation behind the attacks. This type of spam is making a lot of money. Injecting backlinks and spam to a legitimate sites remains one of the most profiting and popular types of website attacks. After the website is compromised, a malicious backdoor will be uploaded to the website which gives access to the attacker allowing him to invisibly redirect your visitors to their scam sites at any time they want. Apart from generating money for the web hacker, your website gets a penalty from search engines which will ruin your SEO. Yes, it’s the worst case scenario, but evil-minded web hacker can use your website to infect visitors with ransomware. Between 2014 and 2016 over 100 000 WordPress and Joomla! sites were redirecting visitors to Neutrino Exploit Kit, which tried to penetrate the browser on the visitors’ computer and when being successful, infected the operating system with CryptXXX ransomware. It’s also a billion-dollar market: read more here. There are many other ways to make money with malware. For example, hacked websites can be connected into a large botnet, which then can be used to provide a DDoS service to attack other sites and web services. Deface web hackers, vandals, script kiddies, kids – who test their skills and love to show it off on hacking forums and compete with the fanciest defacement. Luckily, these kind of attacks are usually the easiest to detect and fix. 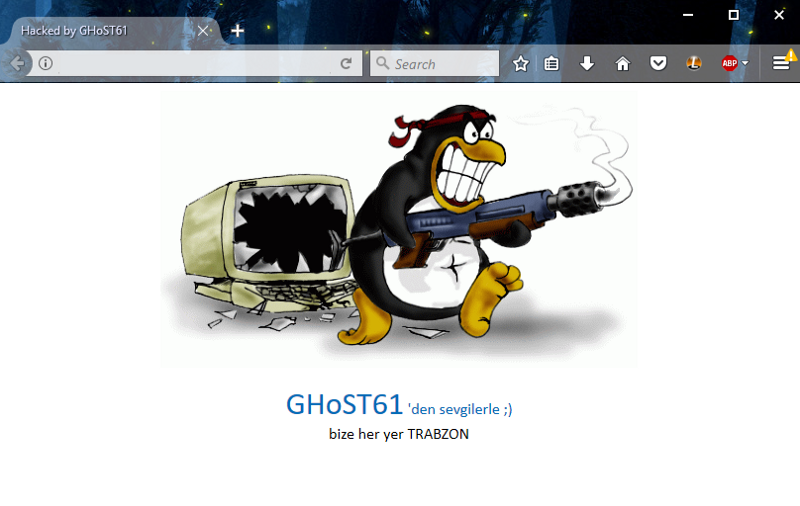 You can find defaced websites from mirror sites, where defacers actively post their new victims. Here’s the reality! Do you know what they all have in common? Website vandalism/hacking is mostly automated! This is a critical element as there’s a common misconception on how attacks are being executed. 2 – Now, with the list of over 5000 WordPress sites, there are many possibilities. He could start fingerprinting (automated) specific vulnerable (outdated) software and try to brute-force the admin account with different combinations (also automated). This is the step where he can already have the access to a lot of sites (most of the sites are not frequently updated and lack security measures). 3 – As the last step, it’s all about infecting and using the site as the attacker wishes (khm.. also automated). Everything is automated – the attacker might have hacked your website without ever visiting the site or seeing it with their own eyes. And yes, you should worry about it! Keep in mind that similarly to the abandoned buildings that get freaky graffiti and tags on the dark corners — it’s just a matter of time when your website gets defaced and infected with malware if you don’t have basic maintenance, security measures and proper monitoring in place. Ok, ok… But how big is the problem? To find out, who could be better than google on saying what is going on in the web. Since there is almost a 1/3 chance that your website is running on WordPress, you should already know that 2017 didn’t even start with a positive tone. If you have WordPress or Drupal Website – read this! If you have a Joomla Website – read this! Your website is the face of your company, protect it!